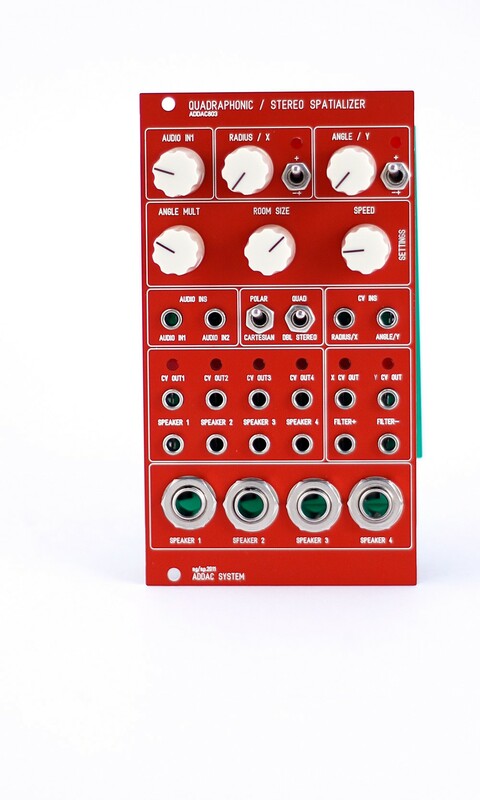 The ADDAC803 is a 14HP hybrid Quad Channel Output Panner module where all the algorithm is running on a digital MCU while all the audio path is fully analog. 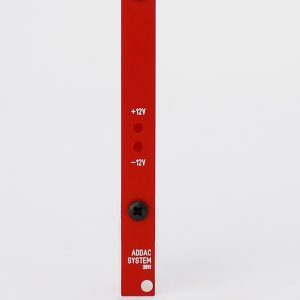 4 high quality VCA’s are used to route the necessary audio amplitude to each of the channels independently, meaning that each VCA CV input is connected to the digital side being controlled by the algorithm. The algorithm is based on the VBPA concept (Vector Based Amplitude Panning) – this is the most common algorithm behind most digital spatialization techniques applied to 4 fixed position outputs (speakers). 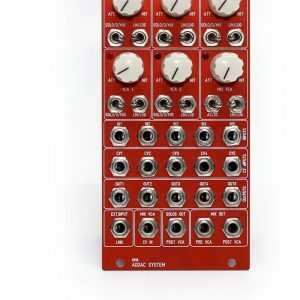 2 extra CV outputs, titled “Filter” + & – , normal and inverted to be used for series filtering or reverb addition depending on the defined position (ex. the further the sound source is from the center: the more reverb would to be applied; or lowers a lowpass filter frequency). This increases the perception of a distant sound. 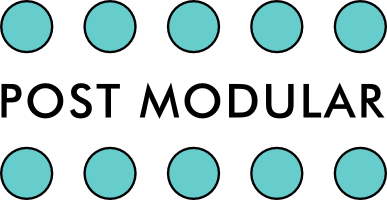 In order to better illustrate the behavior of this module, a Java application built in Processing was developed for potential users to test and better understand the module’s inherent features. 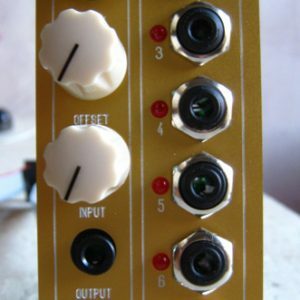 This application is cross compatible with the three main operating systems and, besides all the functions of the real hardware module, it features a graphical display that resembles an oscilloscope like monitor and a very simple sound engine as if the module output was plugged straight into the CV input of a VCO. The audiovisual experience of using this application makes it a very effective demonstration of the module’s operation.